This week, we had an incredible interview with eco-entrepreneur, owner of Melody Productions, Director of the Food Heals Documentary, and co-host on The Food Heals Podcast, Allison Melody. Recently, both Devon and I were on her podcast for episode 199: The Secrets to Revolutionizing Your Workouts and Losing Weight Naturally and so we invited Allison to be on Open Sky Fitness to share her own incredible health journey. Click here for the entire show notes! Allison's origin story, her parents' illnesses, and why she started a plant-based diet. The moment she discovered holistic health and natural medicine. The 7 Stages of Grief we go through and how we can emotionally heal ourselves. What it means to have a gluten sensitivity vs. being Celiac. What spiritual psychology is and how it can help you heal your mind and work through childhood issues. Rob and Devon's own experiences with therapy and emotionally healing themselves. How to eat healthy without feeling hungry nor depriving yourself of food you enjoy. Don't take on too much at once, but focus on one thing at a time. Choose what to focus on based on what is most present in your life now whether that's physical weight or emotional weight. Focus on what foods are potentially harming your health such as gluten, processed foods, and sugar. Don't take away your favorite foods or activities but add vegetables or a 20-minute walk. Gradually begin to add more fitness to your life by walking more or going to the gym a couple of times a week. Take a closer look at the relationships in your life because maybe you need to let go of a toxic friend or build a stronger bond with someone else. Clear your mind through journaling, meditation, and focus on what really needs your attention. The topics she addresses through her work are powerful and heart-centered and focus on Holistic Health, Social Justice, Human Rights and Animal Rights. They reflect her passion for creating positive change in people and the communities they serve. At the age of 26, Allison endured the devastating loss of both her parents to cancer after long and challenging battles. Witnessing her mother and father suffer so intensely and needlessly from a cure that brought more pain than the disease, Allison soon dedicated her life to finding a better way to heal. She watched in disbelief as doctors prescribed drug after drug, observed her parents’ hair fall out, their rapidly aging faces, and their exceedingly diminishing vitality. The tragedy instilled in her an unwavering passion for nutritional medicine and propelled her into the world of holistic health and alternative healing. Allison’s firm commitment to natural health is further evidenced by her achievement of a Masters Degree in Spiritual Psychology. 8 WEEK SKY FIT CHALLENGE IN JULY! 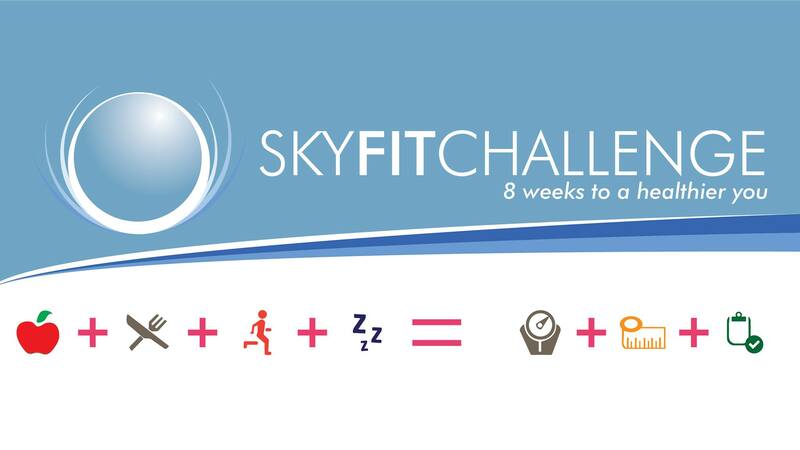 Beginning June 18, you can sign up for our next 8 Week Sky Fit Challenge that will start in July! 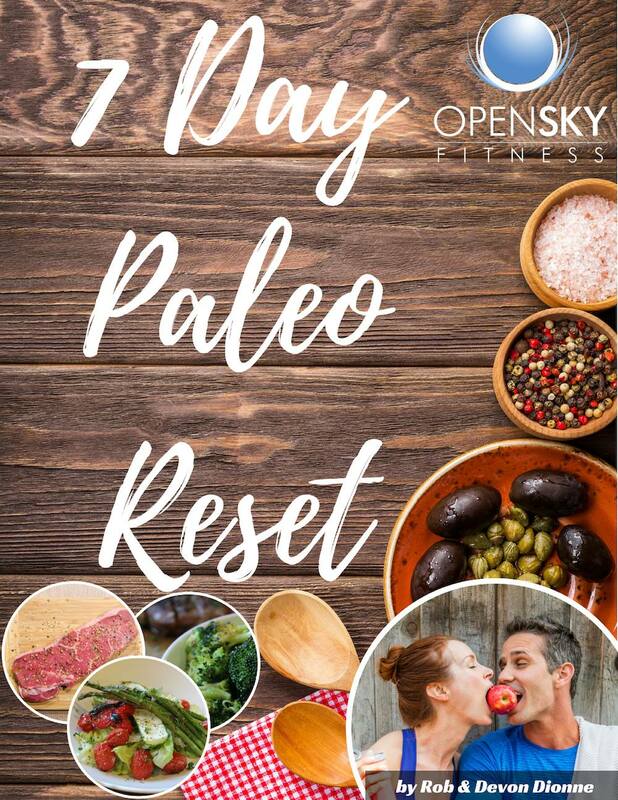 Simply go to openskyfitness.com/paleoreset. We have a website page in the works, but you can sign up to join us via this link. We love answering questions and getting feedback from you, our listener! If you have any questions to ask us, want to share a review of the show, or tell us any suggestions for guests/topics that you think would be great to have on the show, just email Rob at rob@openskyfitness.com or Devon at devon@openskyfitness.com or you can also leave us a review at www.openskyfitness.com/review, ask a question in the closed Open Sky Fitness Facebook Group and even text OSFreview to 33444 to get the link. 1:30 Check out last week's show: OSF 202 - Vitamin Supplementation: Do You Need It? 1:50 About today's guest, Allison Melody, and why switching to a plant-based diet was a life or death decision for her. 2:15 Shout out to our current Sky Fit Challenge that's going on now! 3:10 Sign up starts on June 18th for the next Sky Fit Challenge beginning in July or try out our transition month to get started! 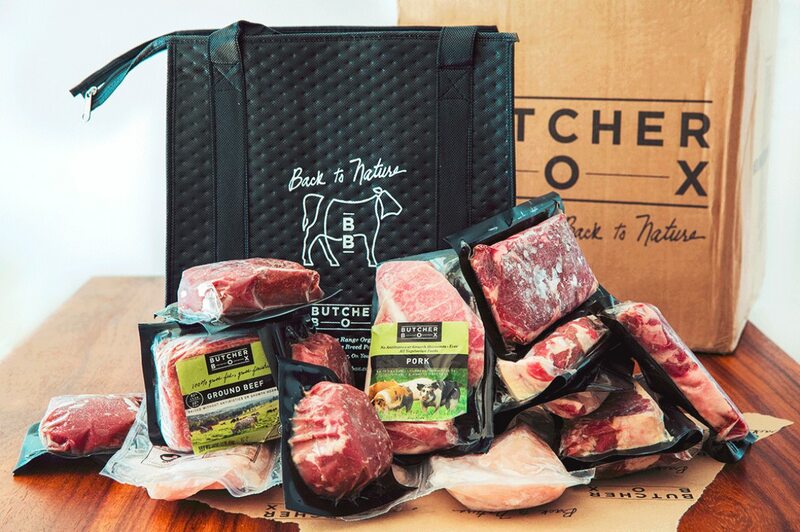 8:00 Why we love our sponsor, ButcherBox, so much and how it can make eating healthy so much easier and cheaper. 8:30 Allison's origin story, her parents' illnesses, and why she started a plant-based diet. 12:00 The moment she discovered holistic health and natural medicine. 13:50 Why her father wouldn't listen and believe in her lectures about nutrition, holistic health, and natural medicine. 16:00 How her father's death sent her on a mission to help people discover that it is possible to heal the body through natural methods. 17:00 How she was able to forgive and emotionally heal after her parents' deaths. 18:30 The 7 Stages of Grief we go through and how we can emotionally heal ourselves. 21:30 What Allison has learned about what it means to be healthy over the last couple of years and her philosophy on health today. 23:10 How she went from organic food to raw food and then did allergy and blood testing to truly find out what foods are working for her body. 23:30 What it means to have a gluten sensitivity vs. being Celiac. 24:00 Why she decided for herself that the best option was to follow a plant-based diet. 24:45 How she discovered the importance of emotional healing and slowing down from time to time to give herself the self-care she needs. 25:30 What spiritual psychology is and how it can help you heal your mind and work through childhood issues. 27:20 Rob and Devon's own experiences with therapy and emotionally healing themselves. 30:50 How can a person get started on improving their health. 33:00 Her advice to people who think that weight loss is the number one focus on getting healthy. 35:00 Whether or not a juice cleanses and fast is okay for you. 35:25 What has worked for her to lose weight but might not work for everyone else - juicing, intermittent fasting, maintaining exercise. 36:00 Why being healthy is not about the number on the scale. 37:00 How to eat healthy without feeling hungry nor depriving yourself of food you enjoy. 38:00 About her podcast and website, Food Heals Nation plus all the retreats they have coming up! 43:25 Sign up starting June 18 for our next Sky Fit Challenge! Sign up for our Sky Fit Challenge! Check out last week's episode: OSF 202 - Vitamin Supplementation: Do You Need It? Thanks for listening/reading episode 203 with Allison Melody! We hope you have gained more knowledge on how to be a healthier you.